Symons cone crusher is widely used in the industries of metallurgy, building material, road construction, chemical engineering and silicate. 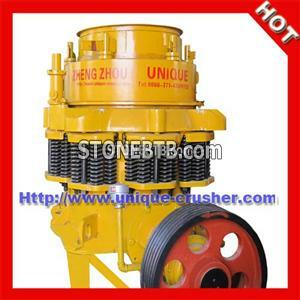 It is suitable for crushing all kinds of ores and rocks with hardness of medium or above. It has the advantages of high crushing ratio, high efficiency, high capacity, low operating cost, easy adjustment and economical operation. High quality of its components' raw material and reasonable structure design contributes to its longer running performance and even granularity of the crushed product in order to reduce the circulation load. Furthermore, by introducing the hydraulic clear chamber into the crusher of middle and large size, the down time is reduced accordingly. The customers can choose different type of chamber upon different request freely, because the wide ranges of products are provided. This series crusher adopts grease sealing so as to prevent the watering and draining system from being blocked and avoid the defect of easy mix of water and oil. The spring safety system is the protection unit against overload, and it can keep the crushing chamber from damaged by foreign substance or iron pieces. 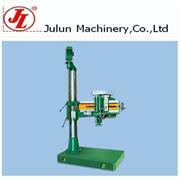 it can be divided into the standard type and the short head type. Normally the large size of material is fed into the standard type, which means that the size of discharge is also coarser; and the small size of the material is fed into the short head type due to its steep crushing cone, which will unavoidably influence the size of discharge, therefore, it is much more suitable for producing the fine goods. Consequentially the standard type is generally used for medium and coarse material, and the short head type is for medium and fine material.